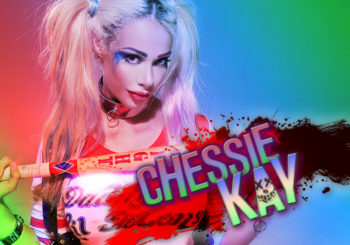 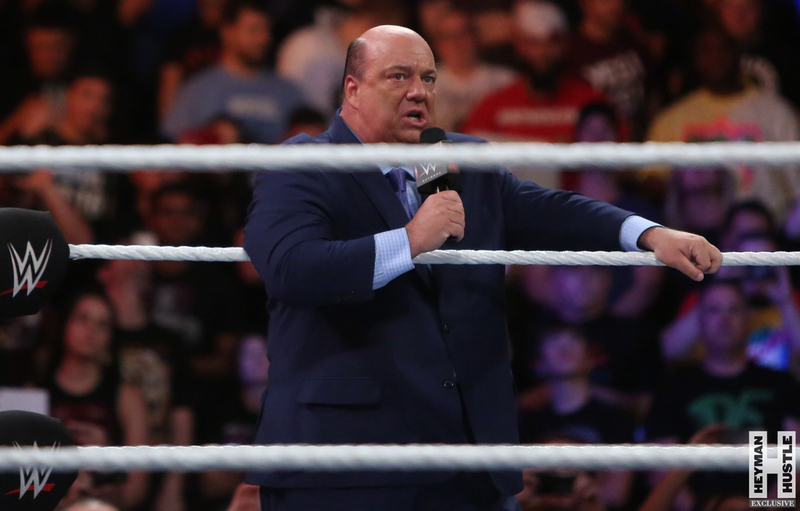 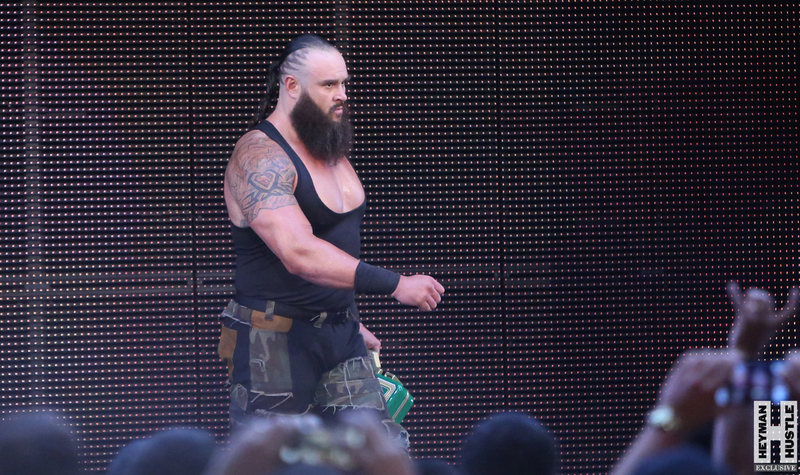 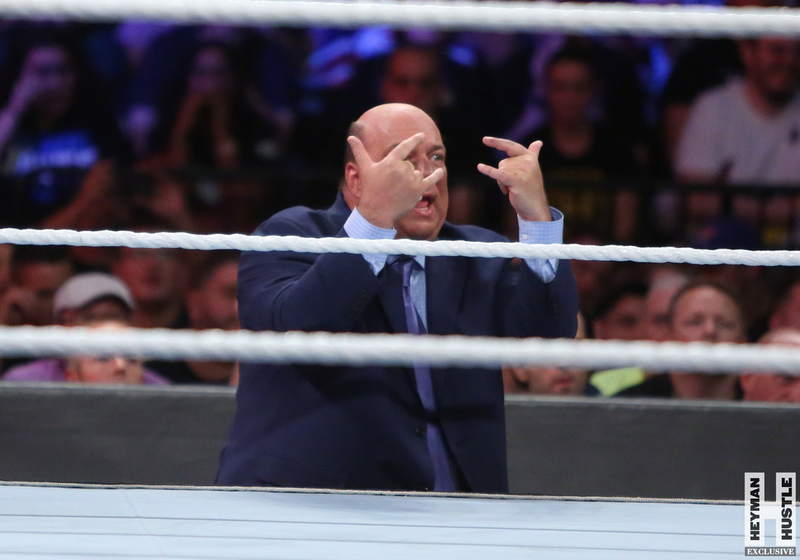 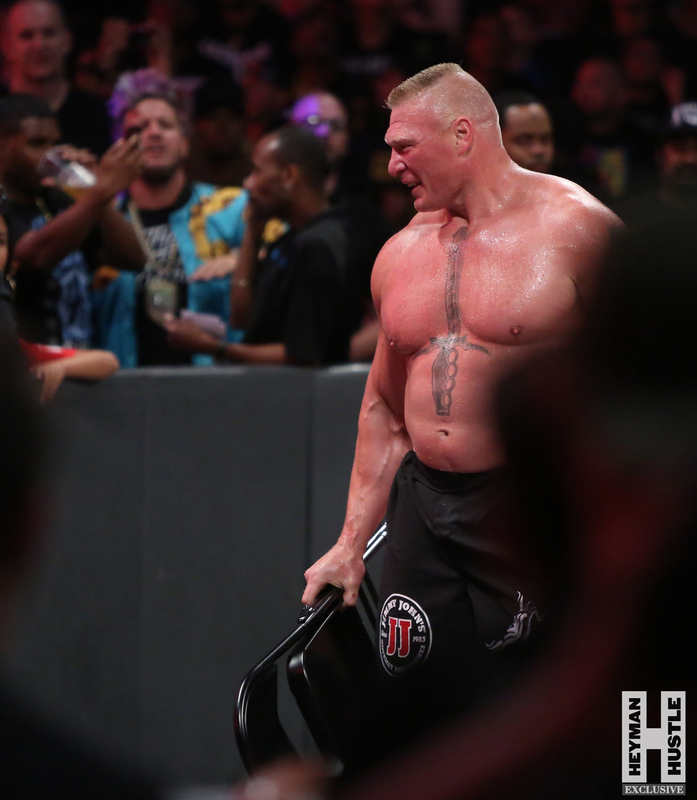 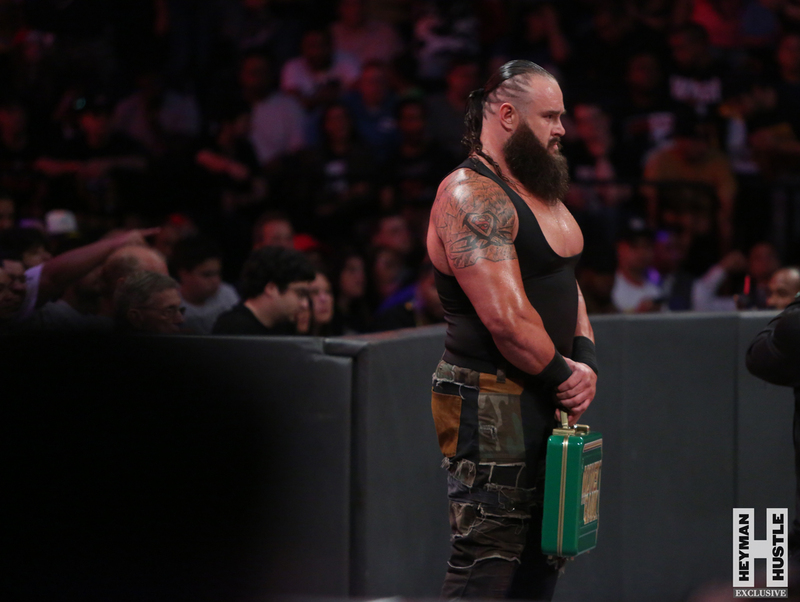 EXCLUSIVE PHOTOS FOR THE HEYMAN HUSTLE BY BRUNO SILVEIRA! 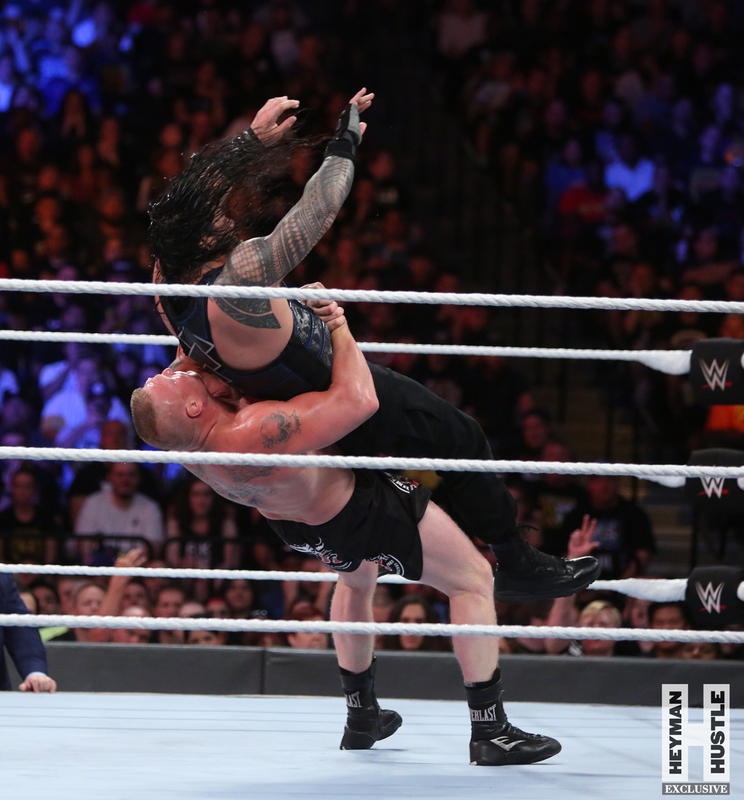 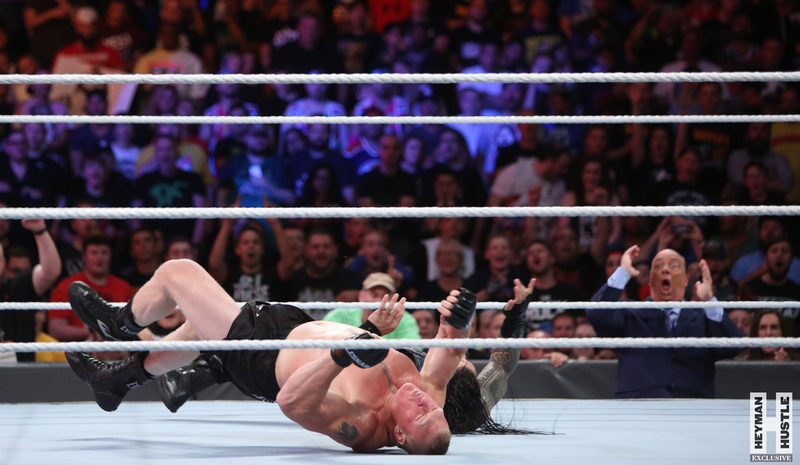 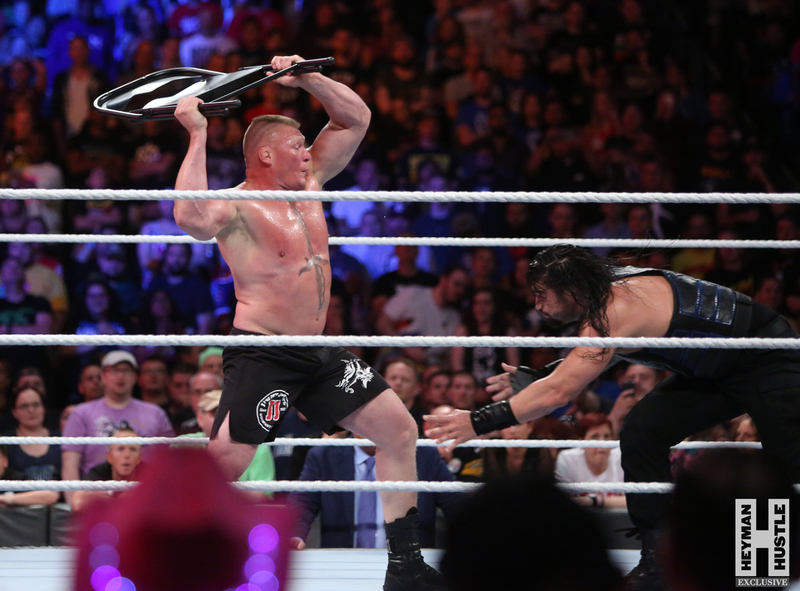 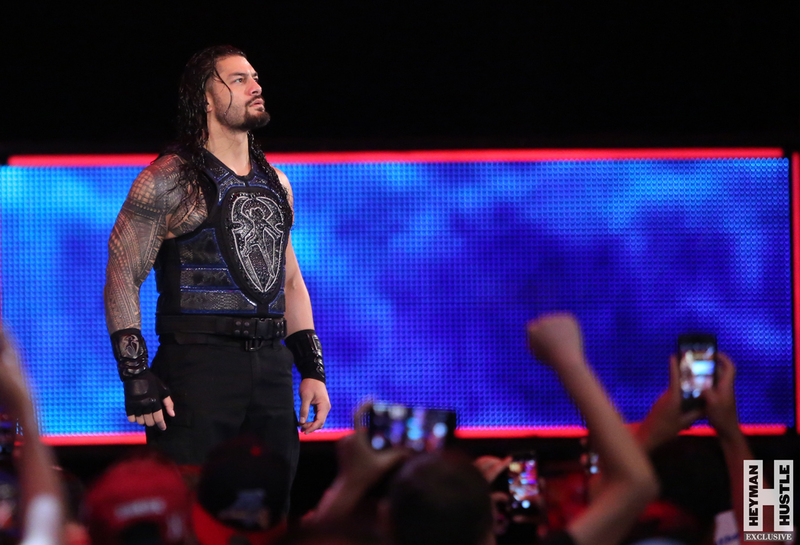 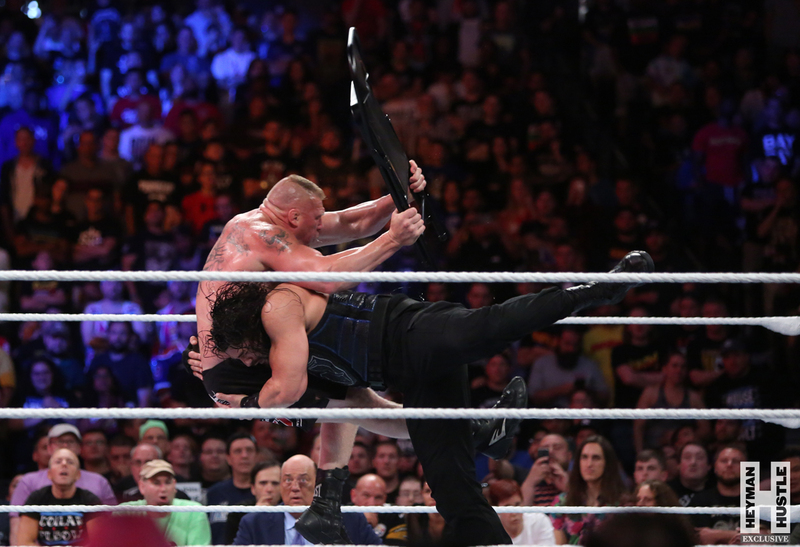 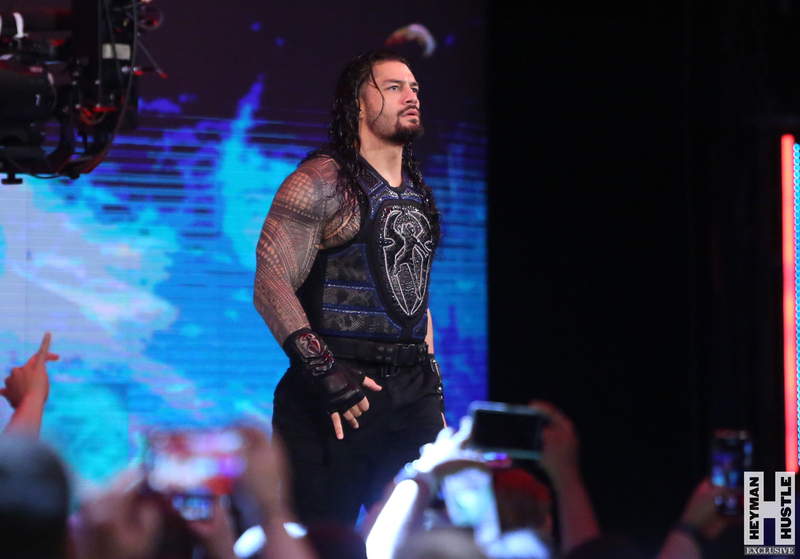 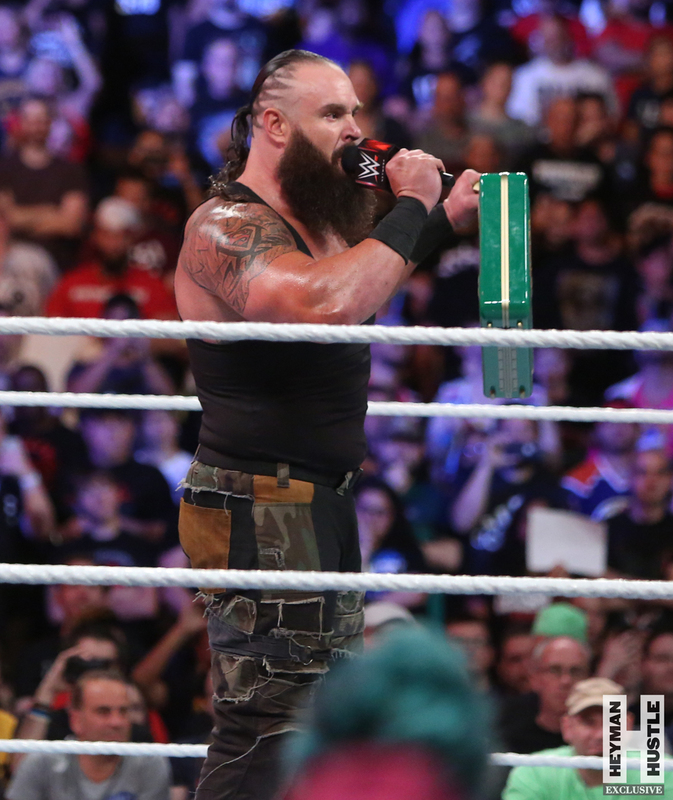 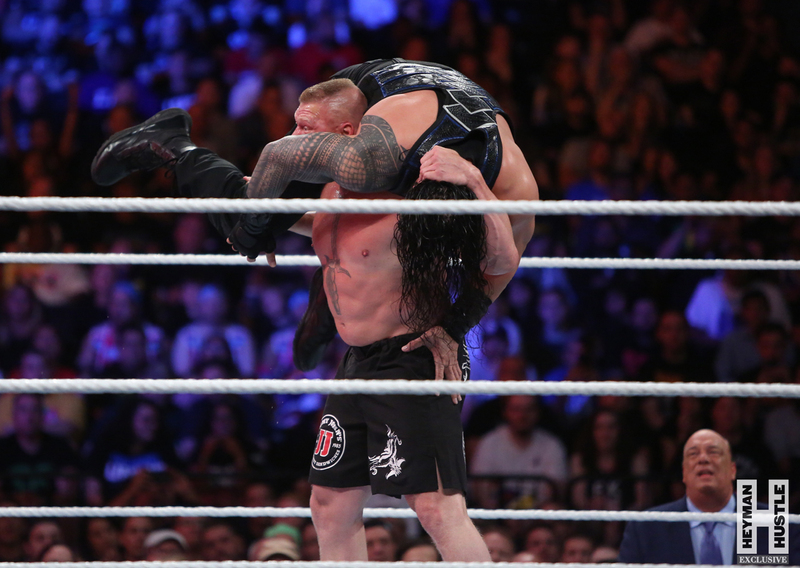 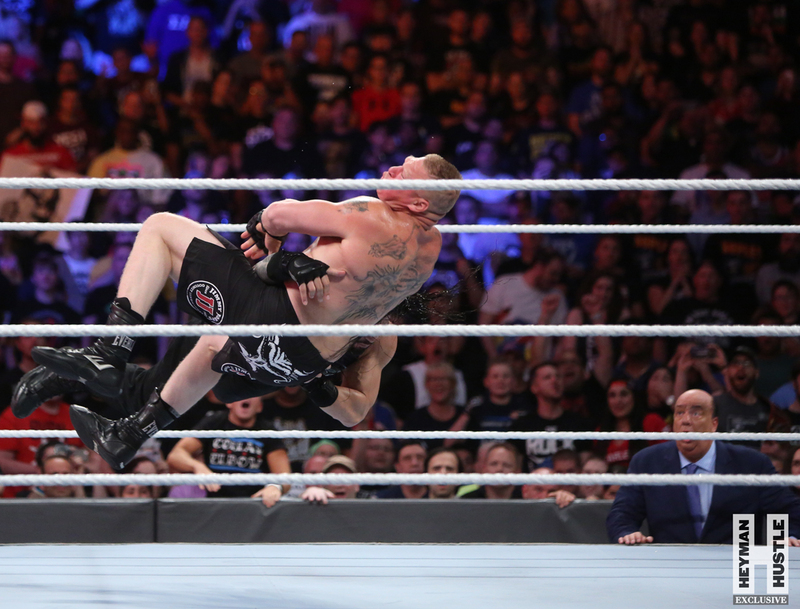 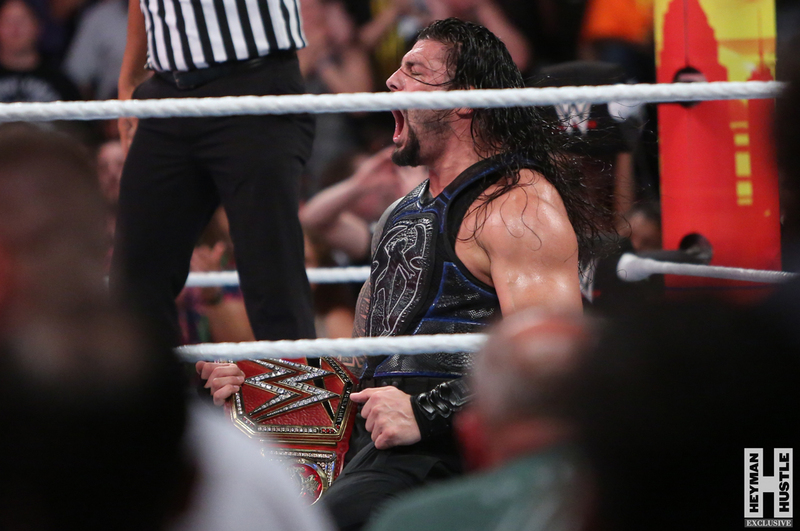 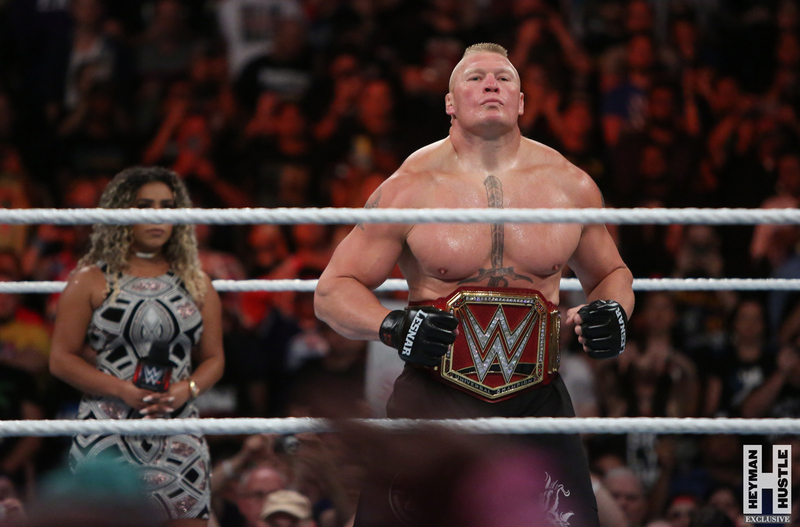 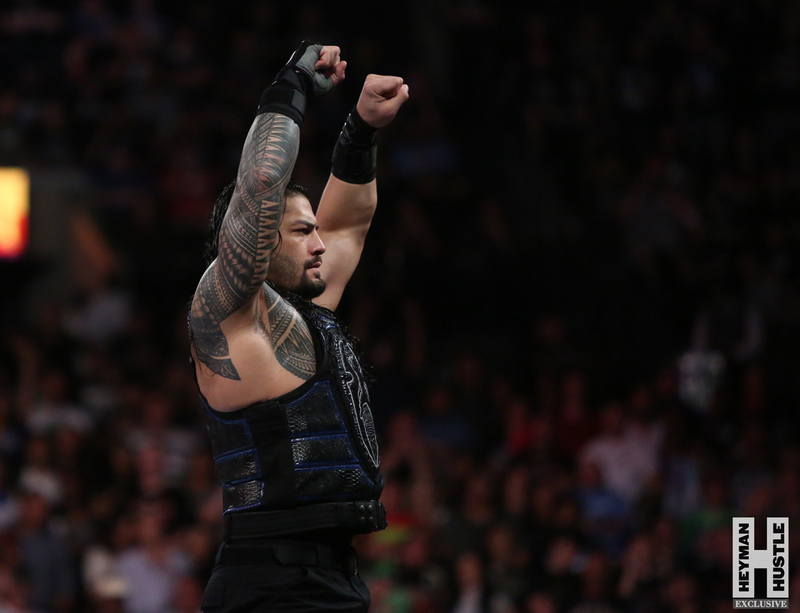 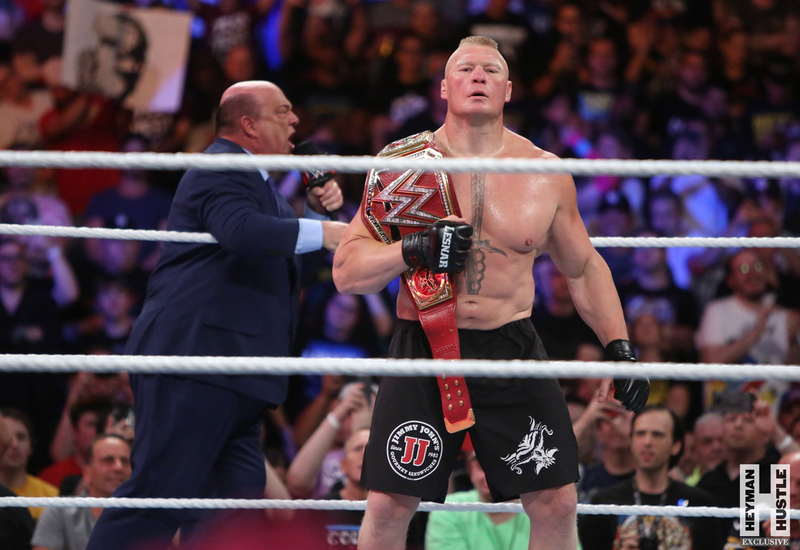 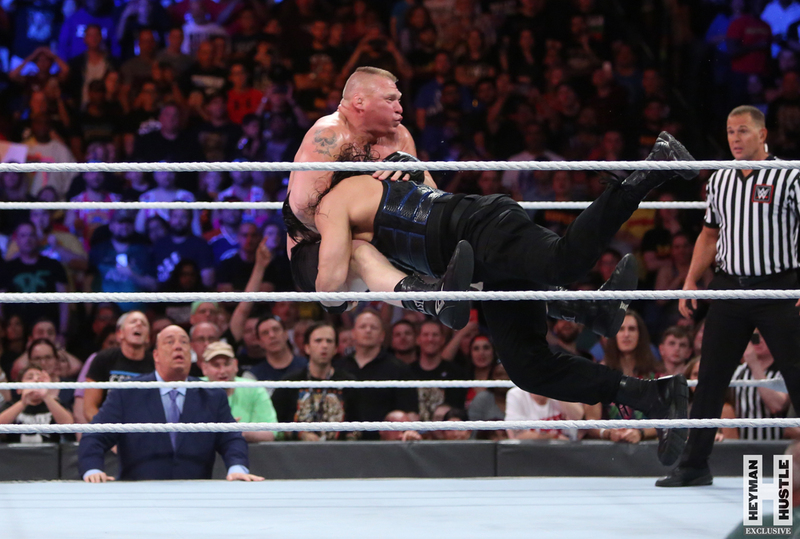 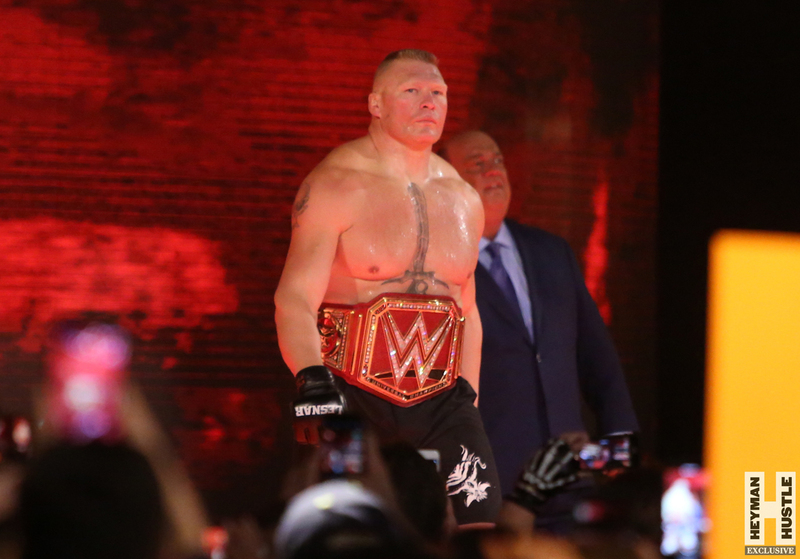 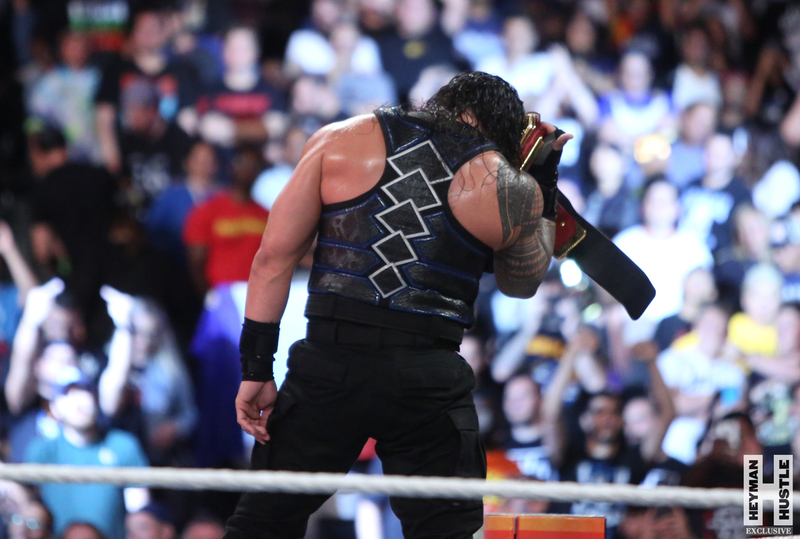 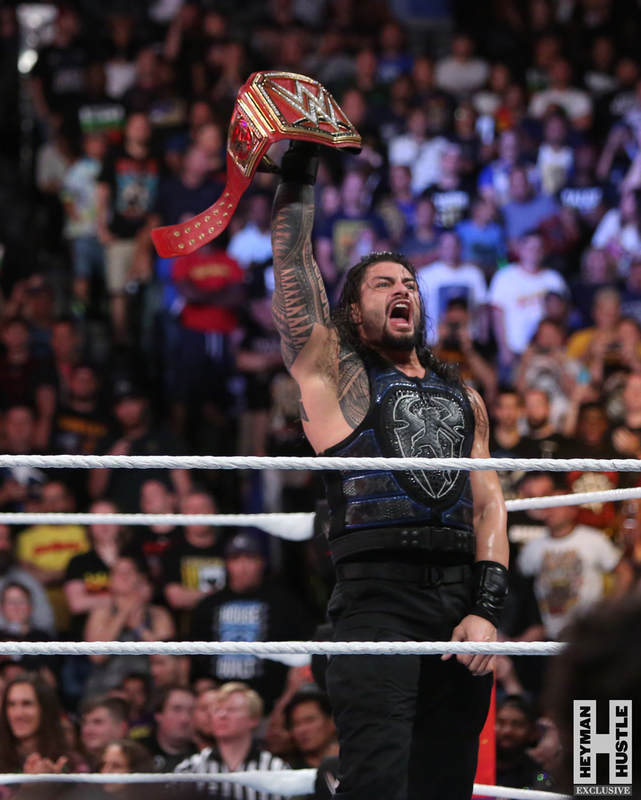 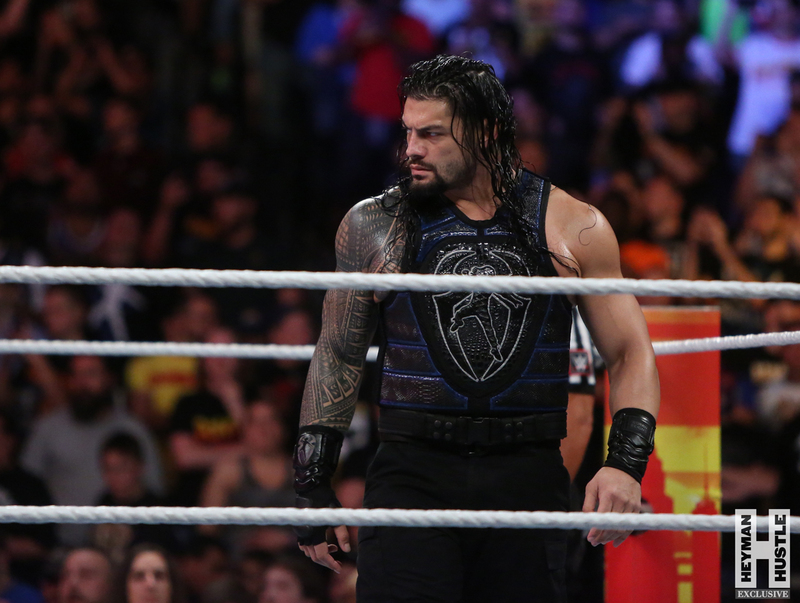 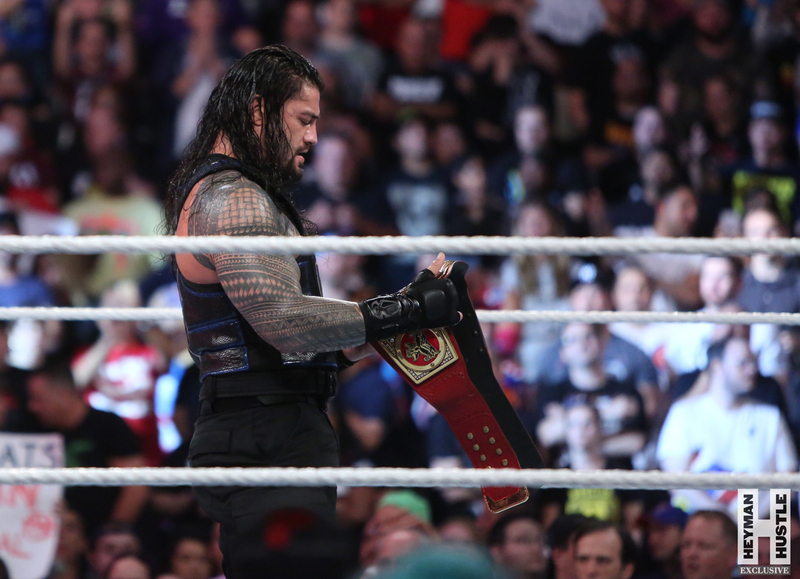 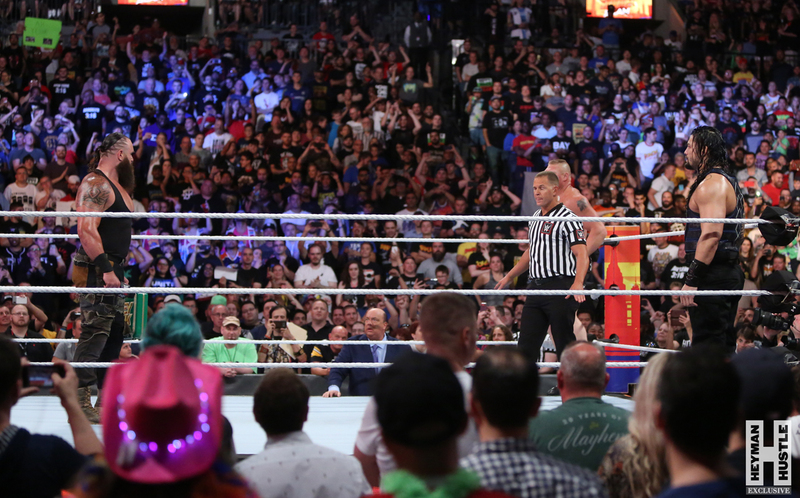 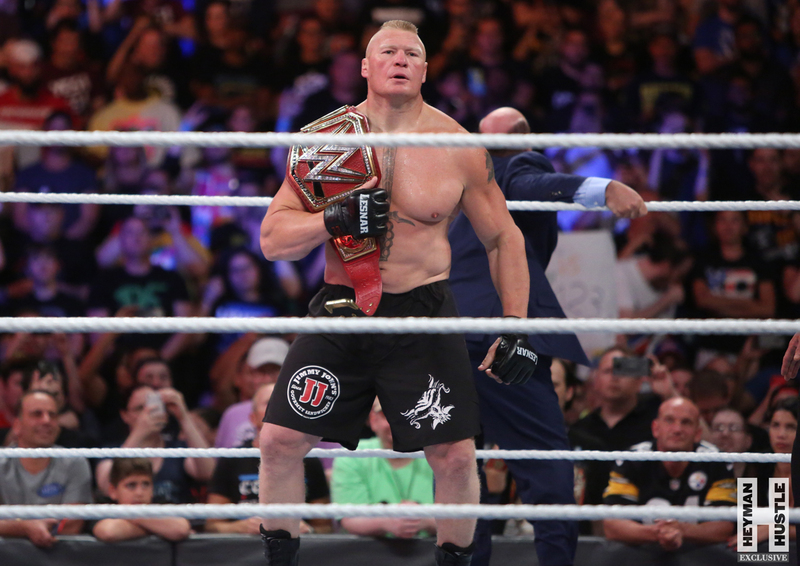 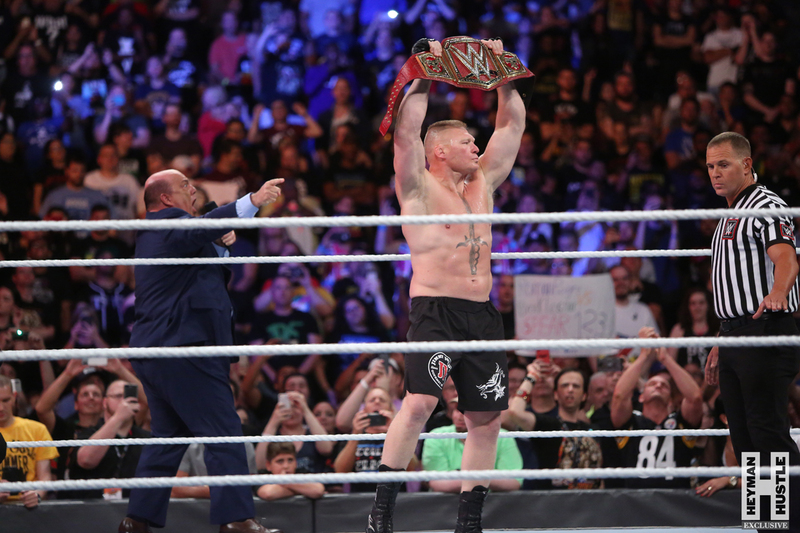 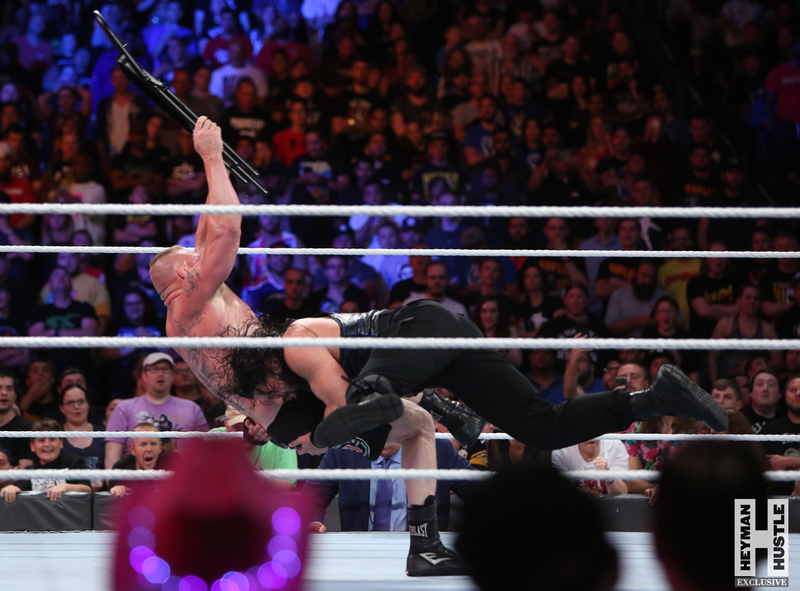 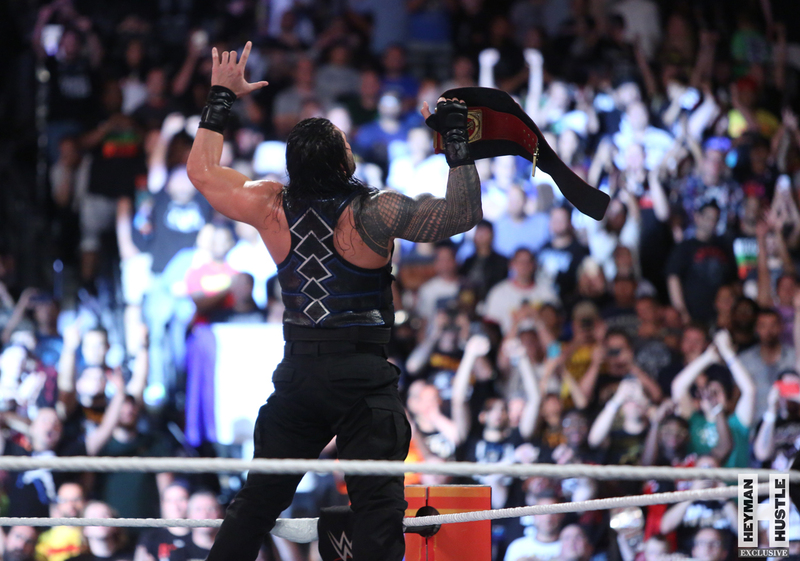 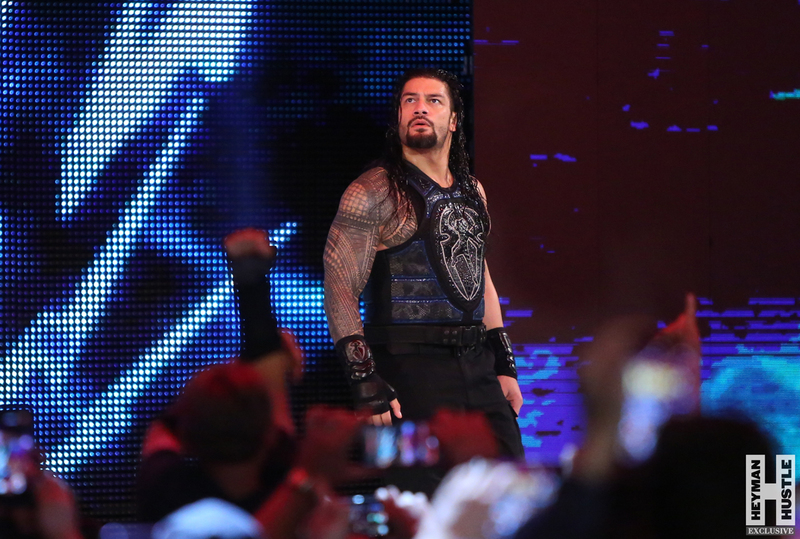 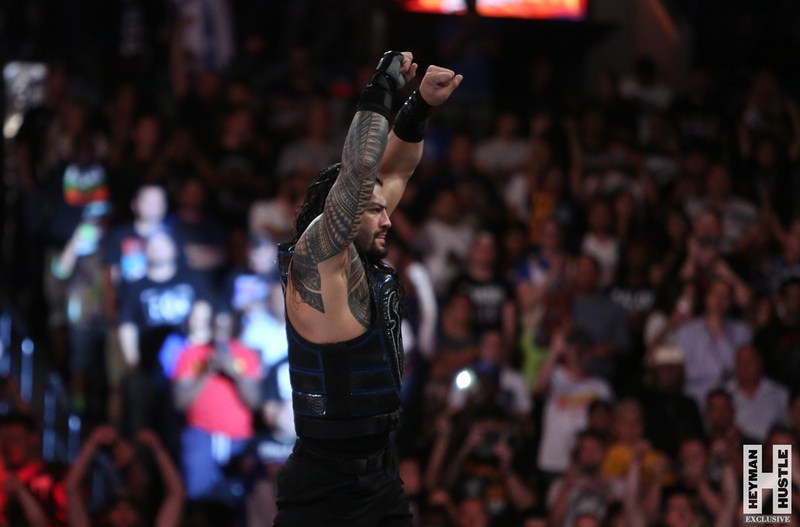 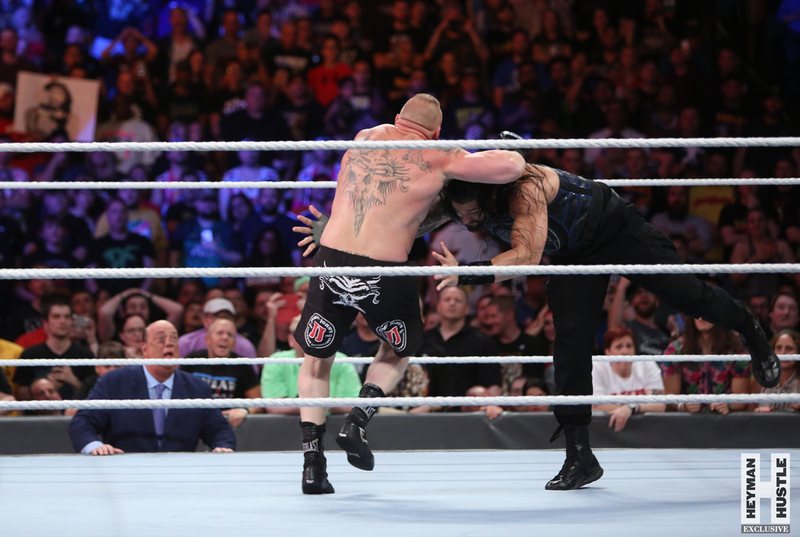 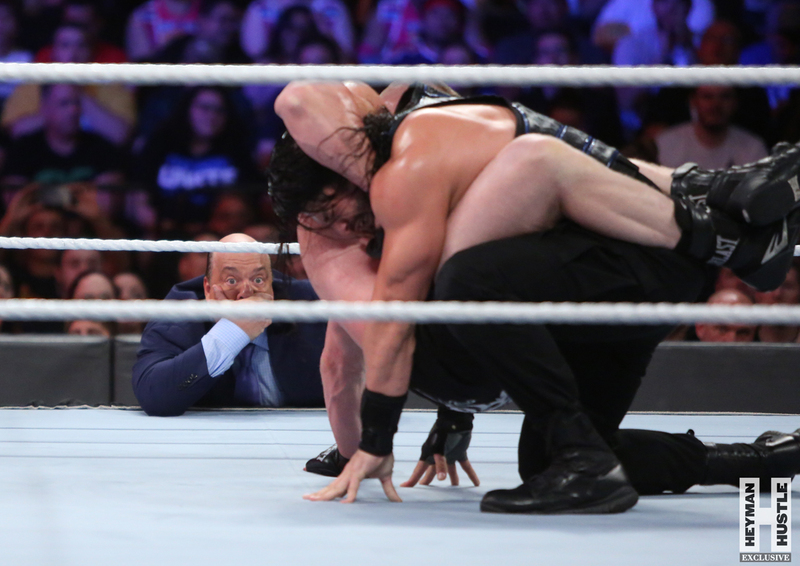 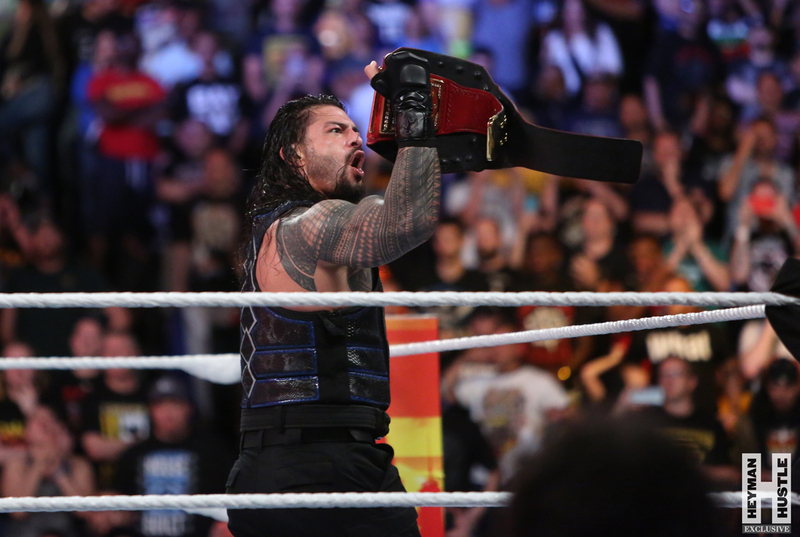 After a chase that lasted over three and a half years, Roman Reigns has scored that elusive victory over Brock Lesnar, ended Lesnar’s 500+ day reign as WWE Universal Champion, as The Big Dog finally accomplished his task in the main event of WWE SummerSlam, which took place earlier this evening at the Barclays Center in Brooklyn, New York. 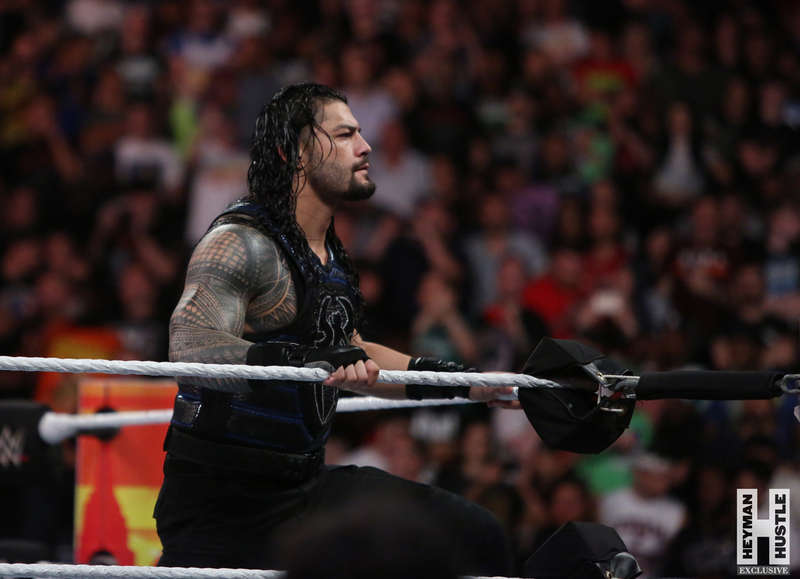 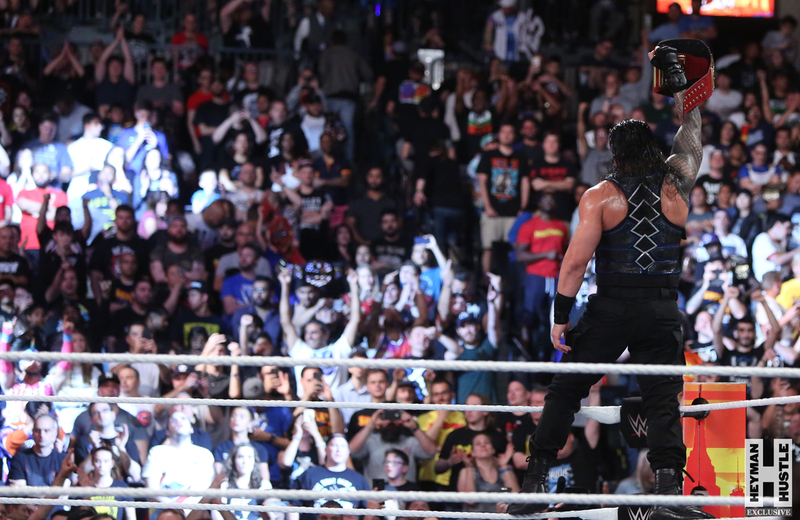 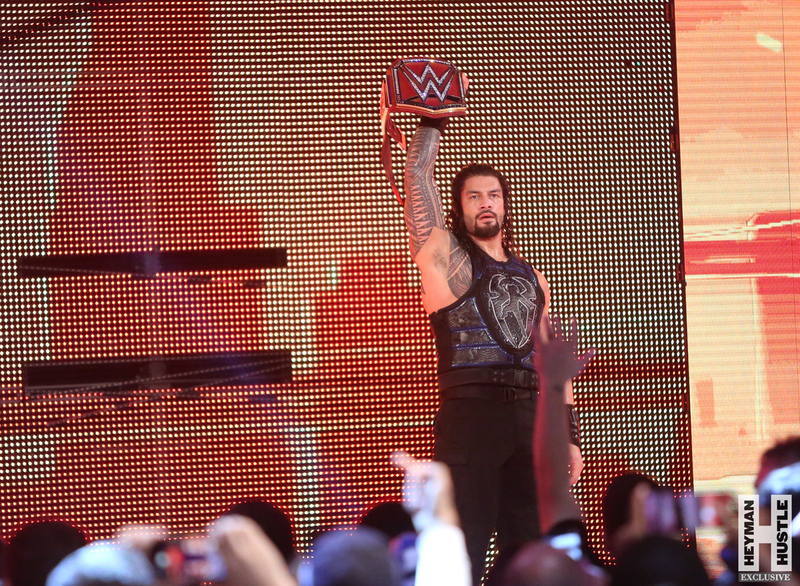 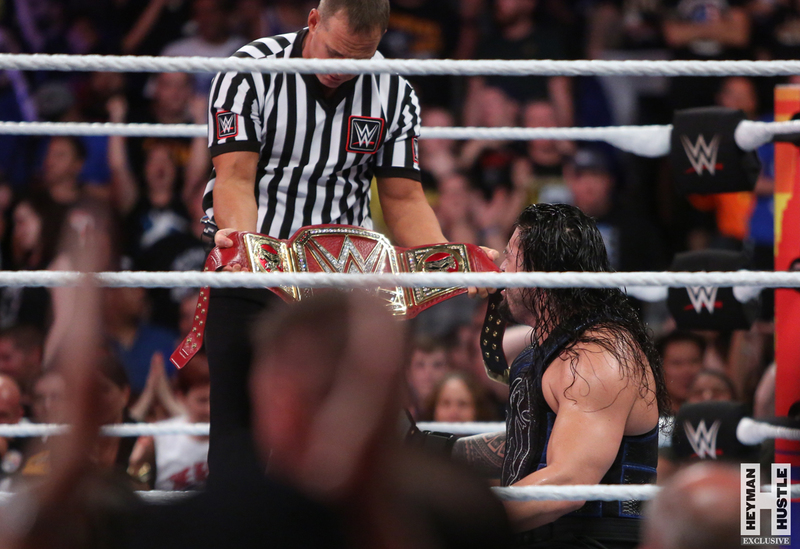 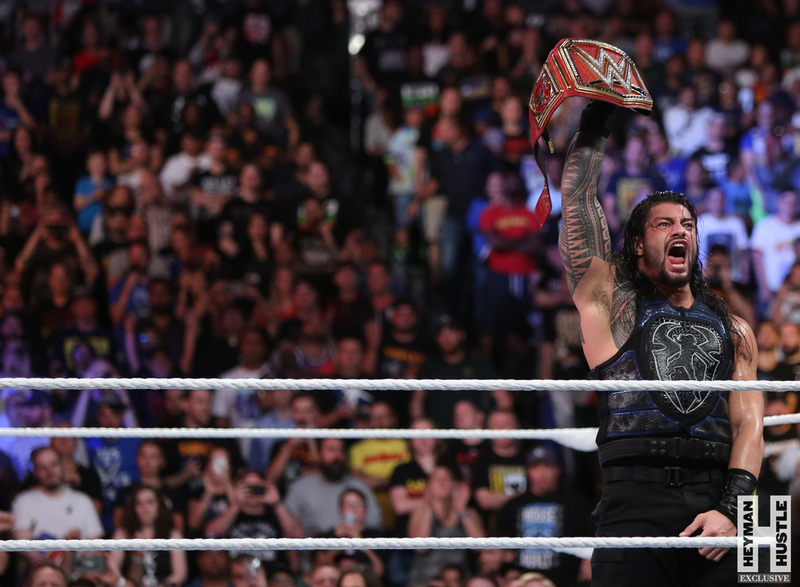 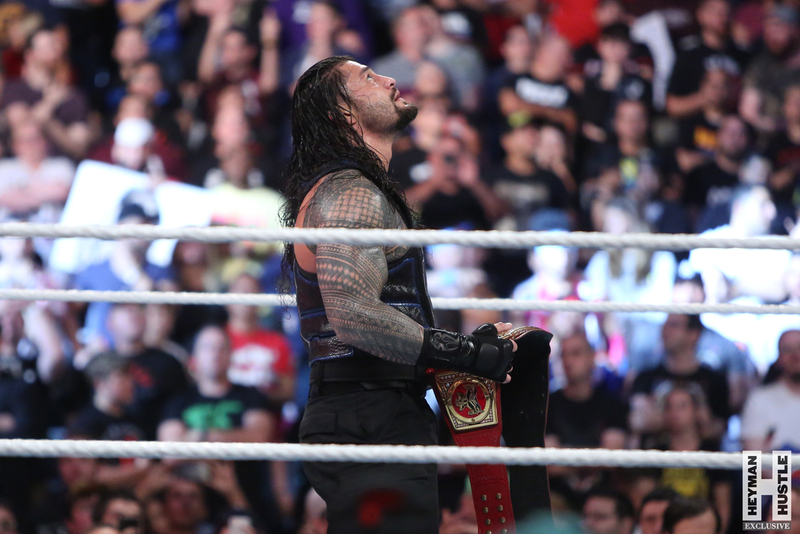 CLICK HERE FOR FULL COVERAGE OF ROMAN REIGNS’ BIG MOMENT! 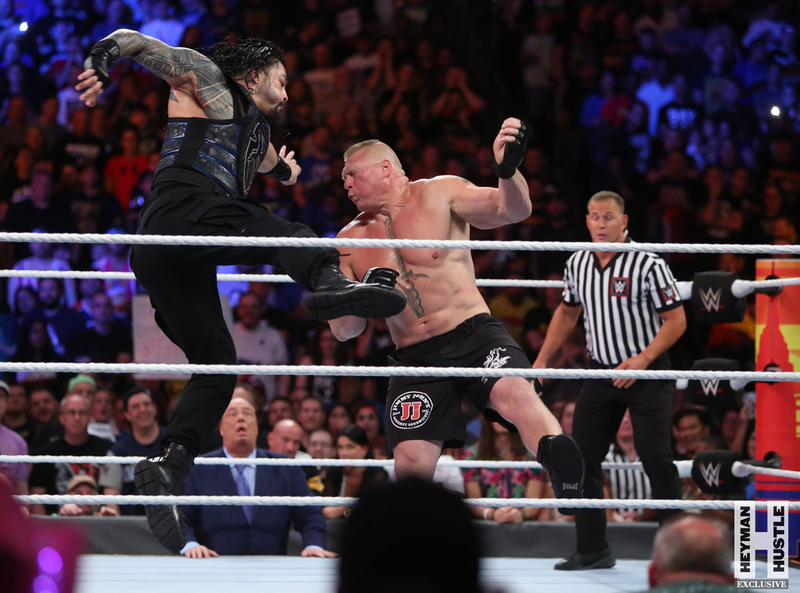 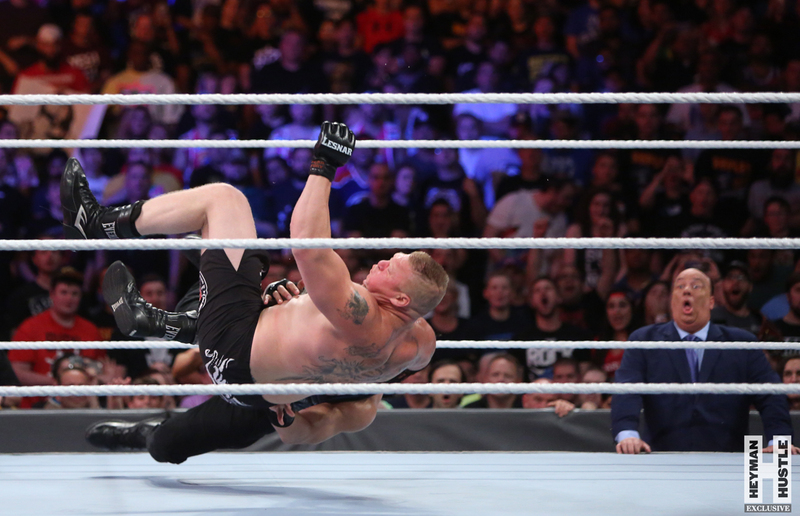 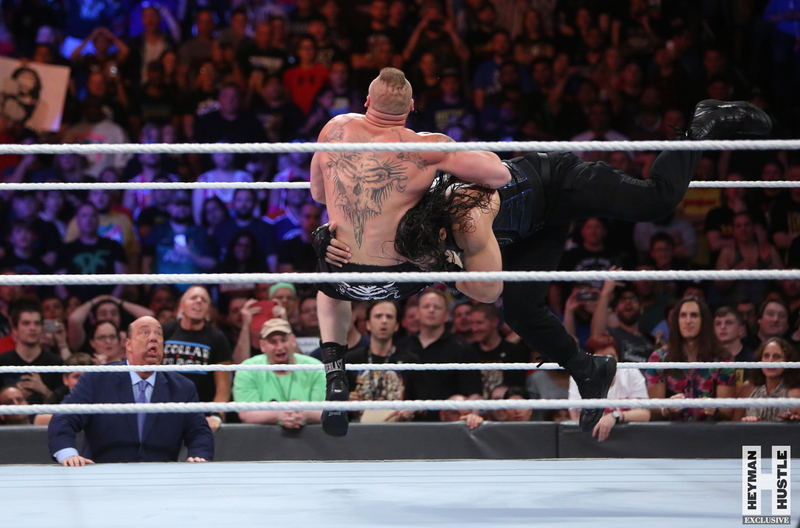 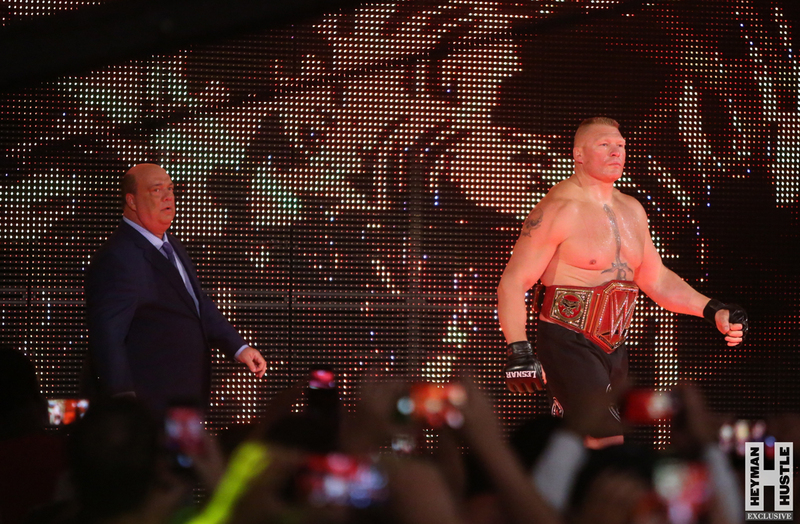 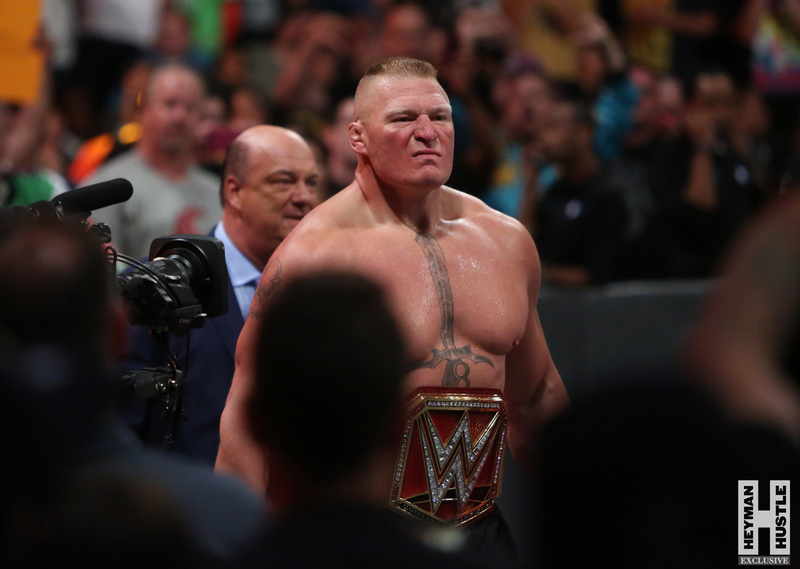 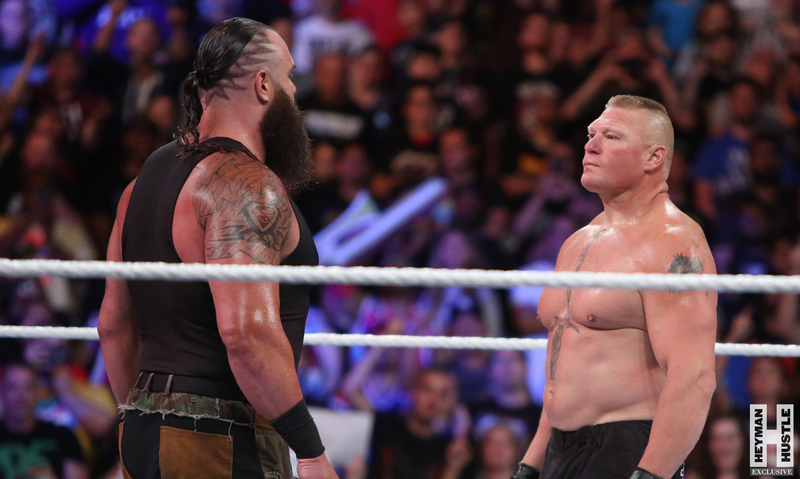 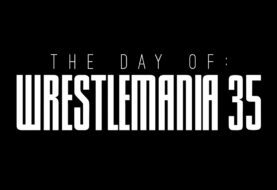 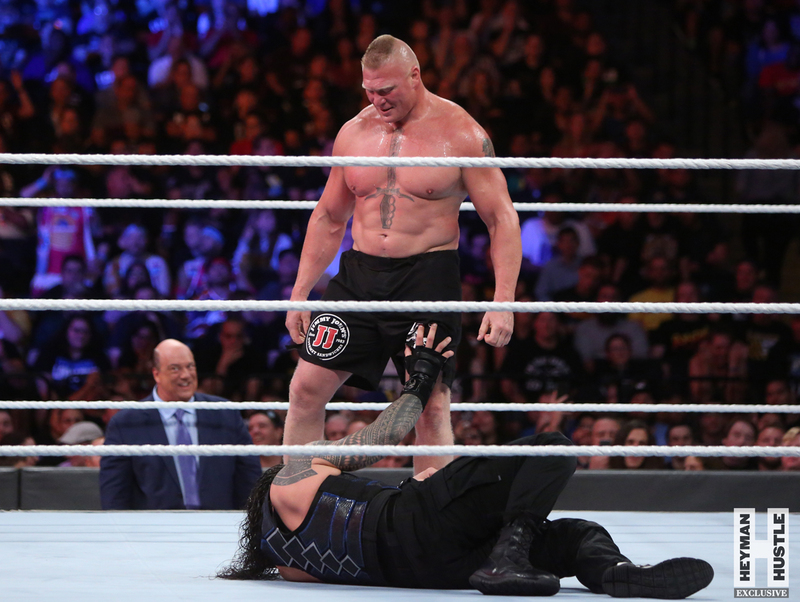 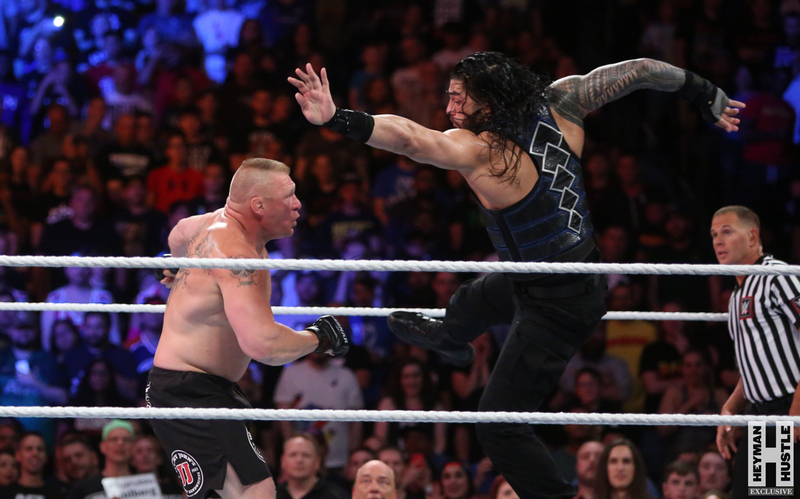 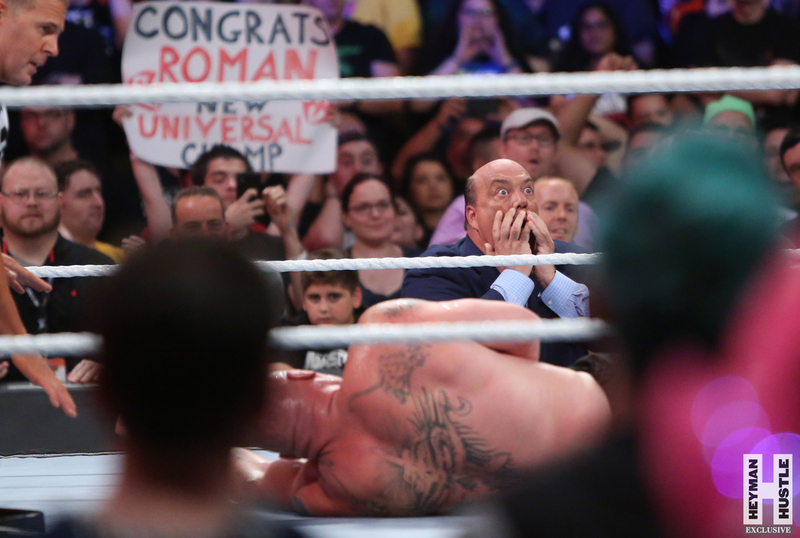 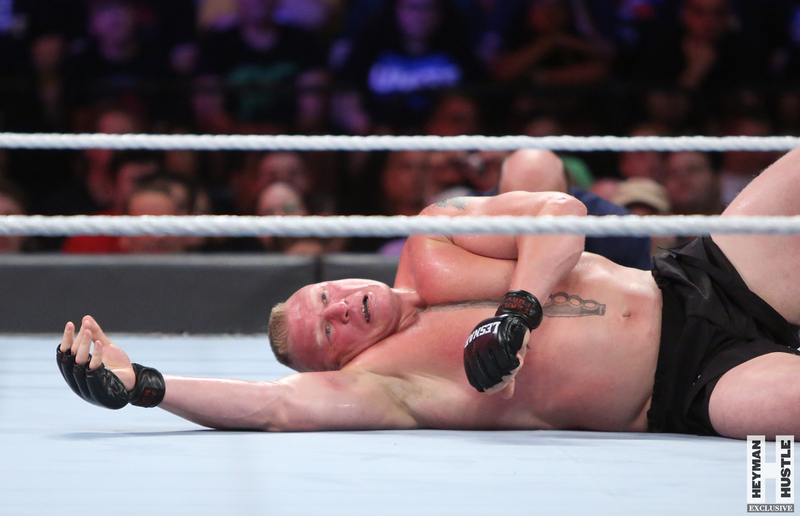 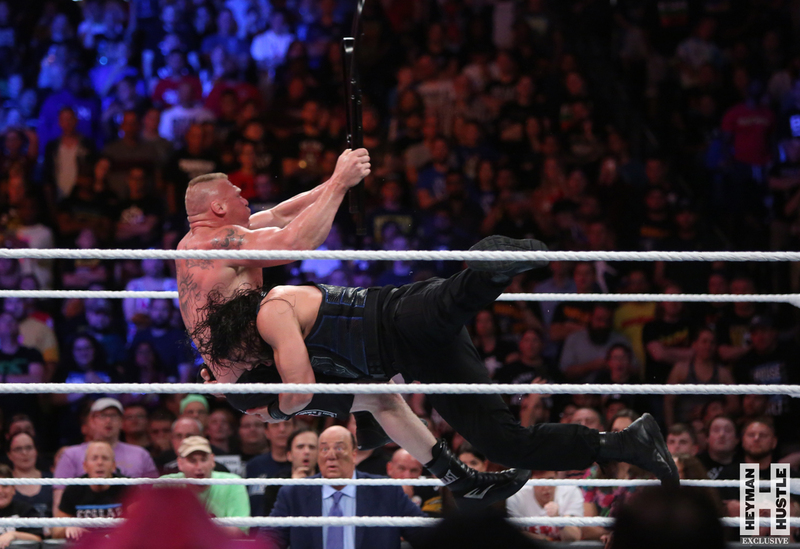 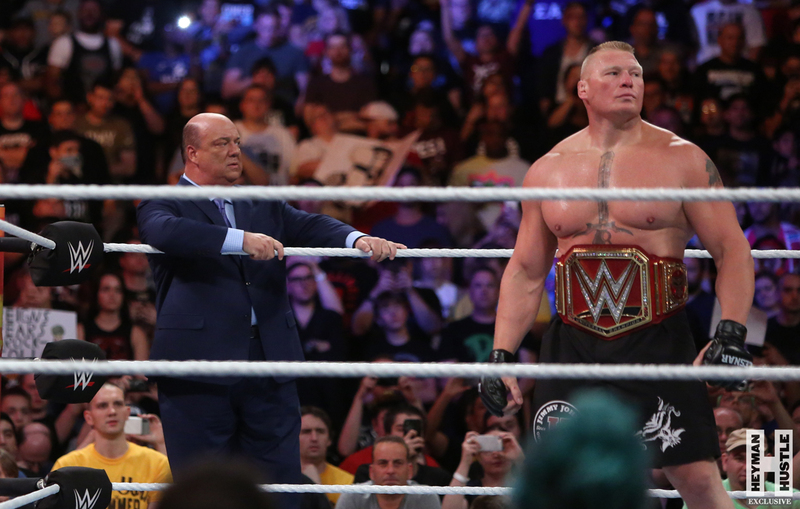 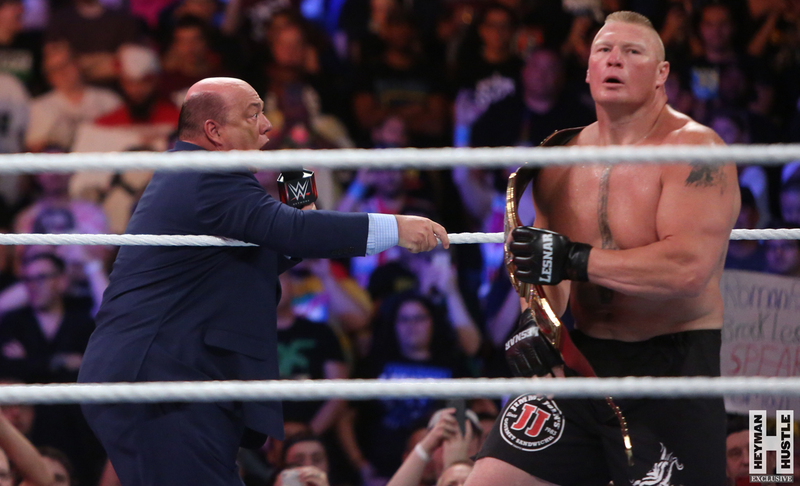 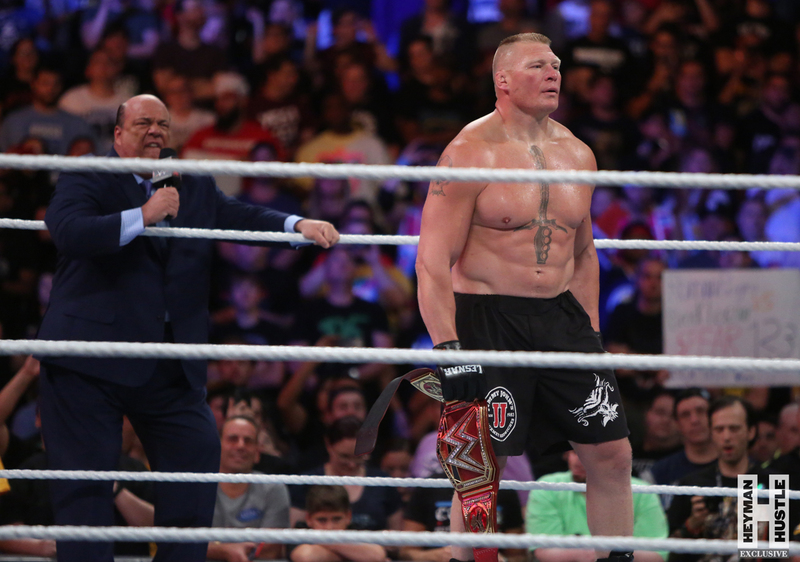 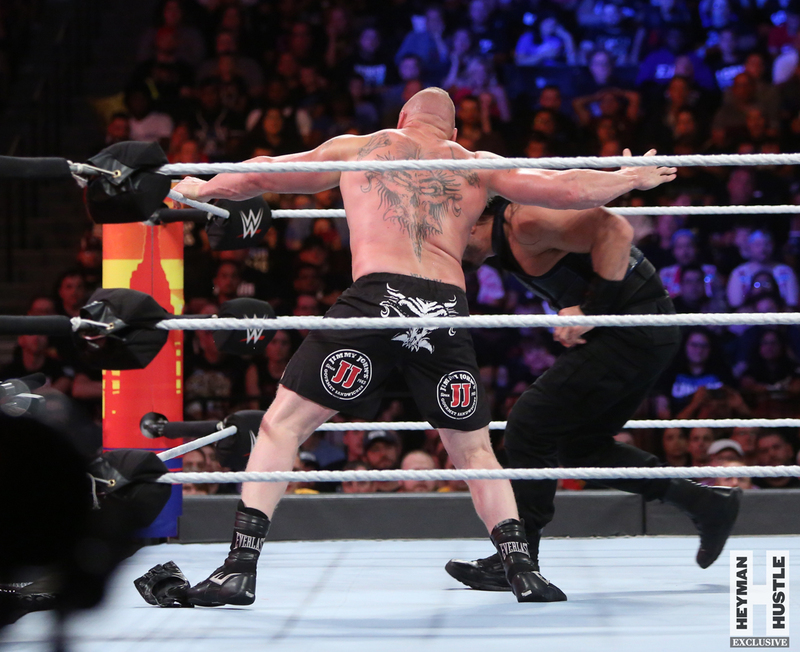 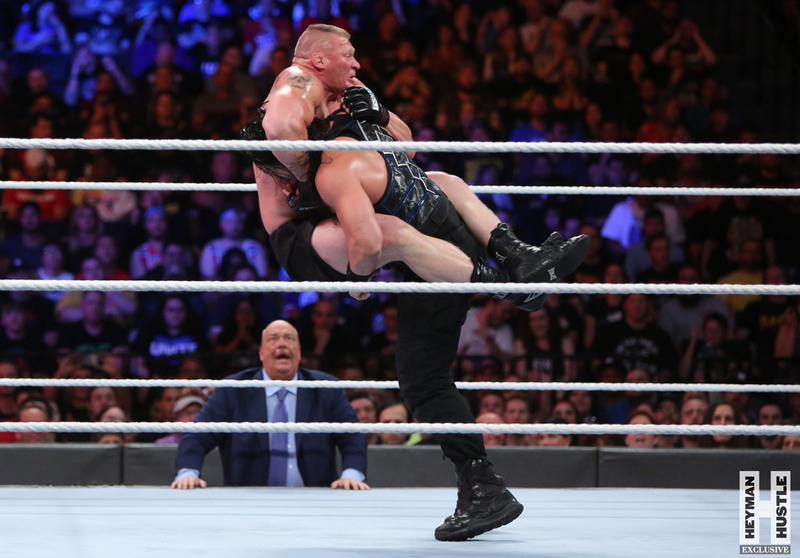 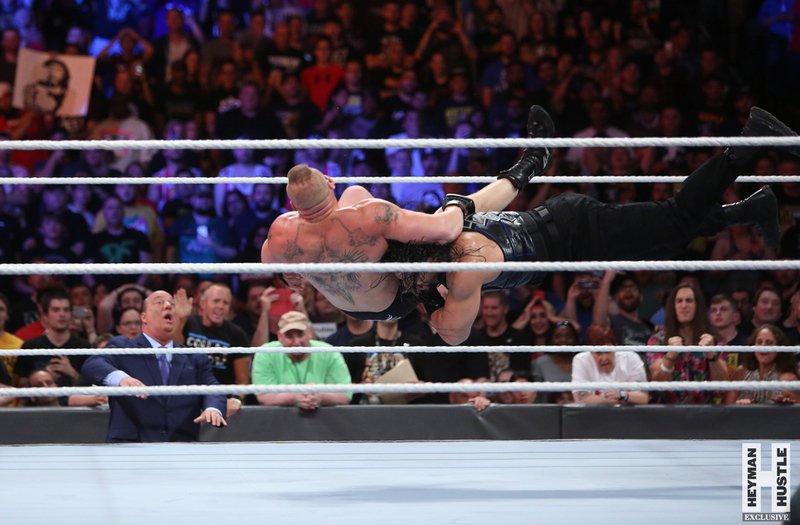 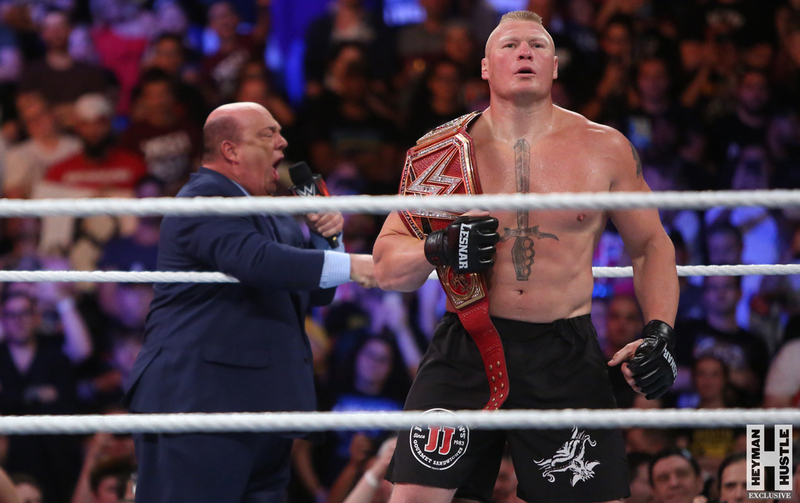 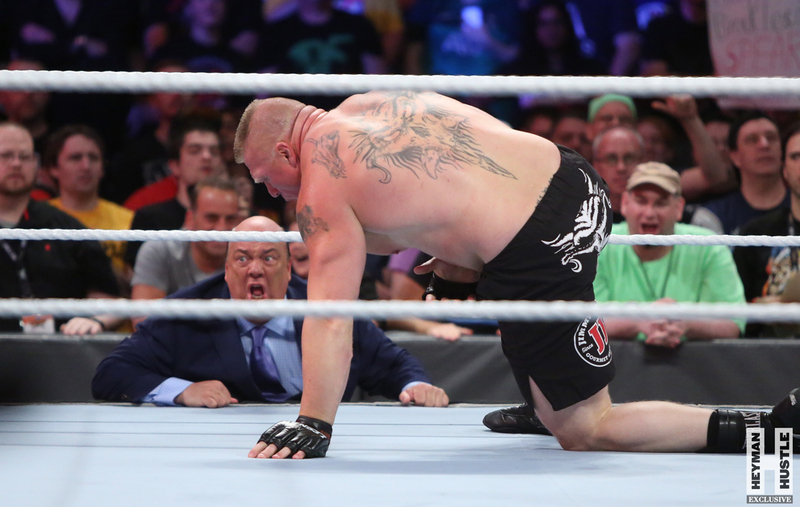 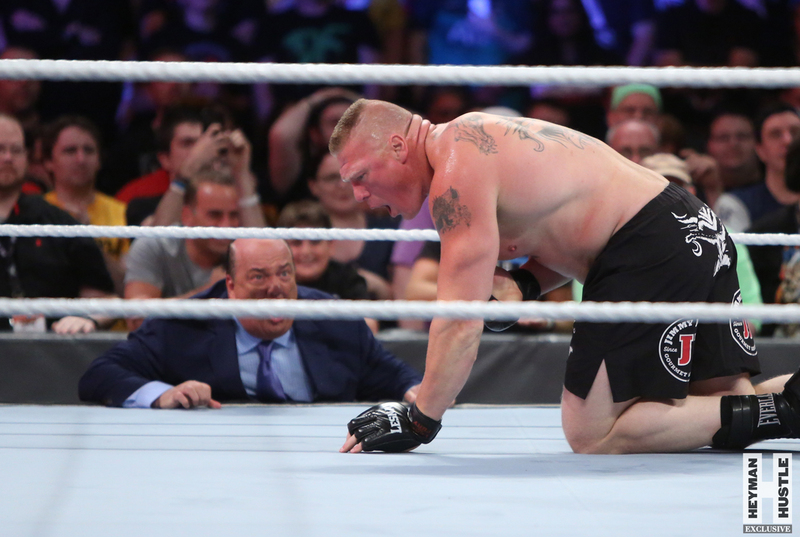 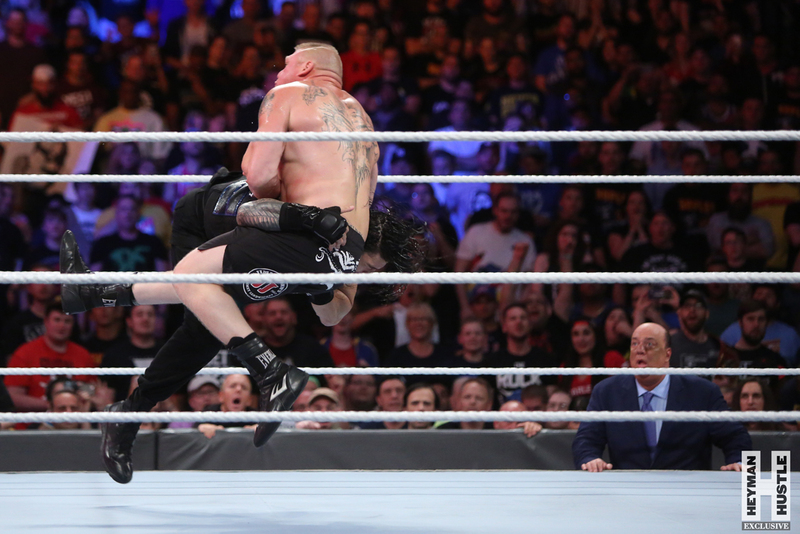 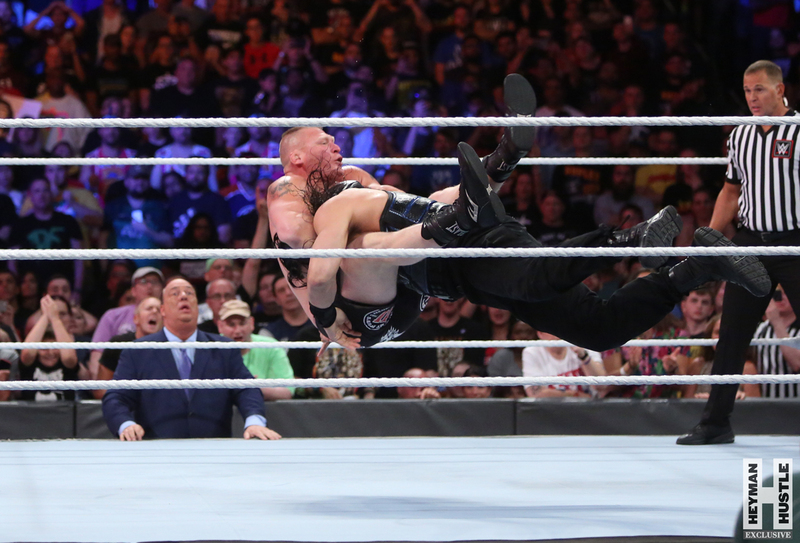 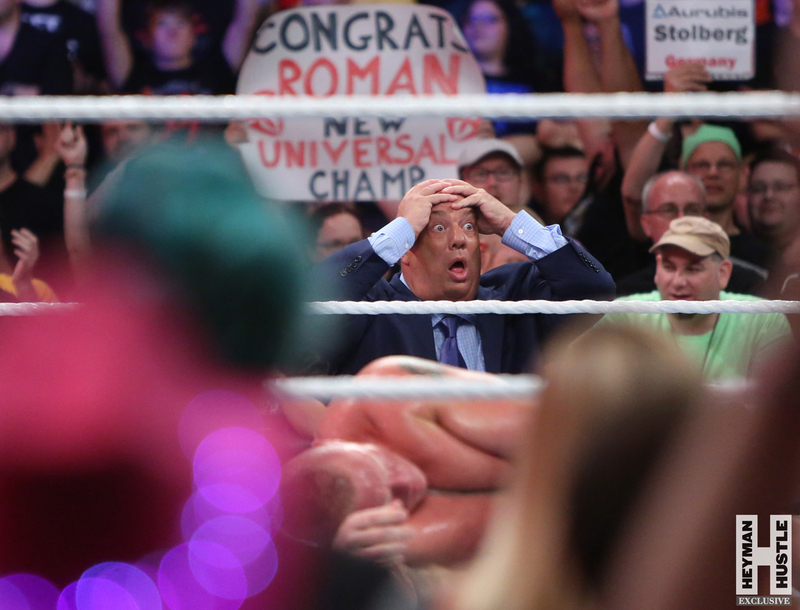 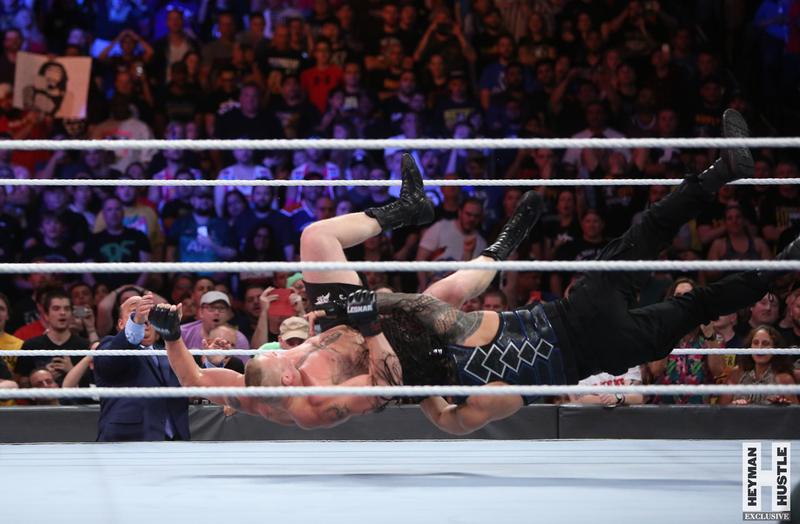 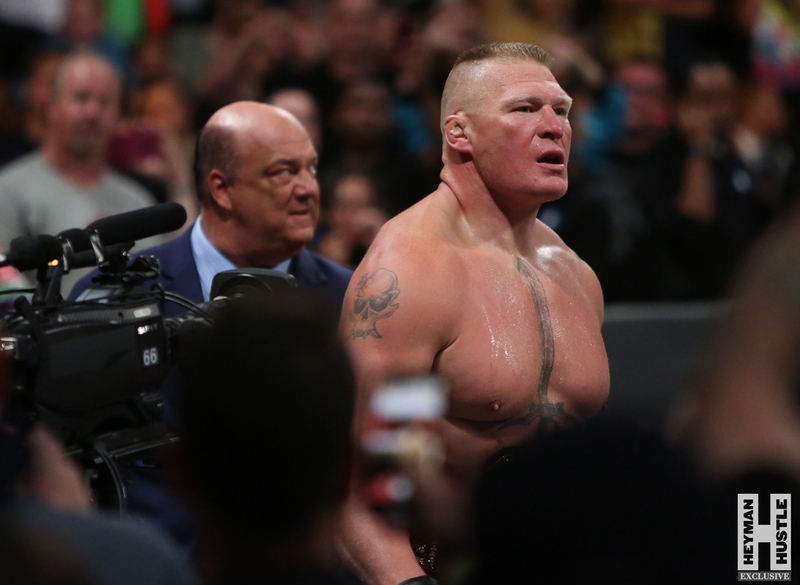 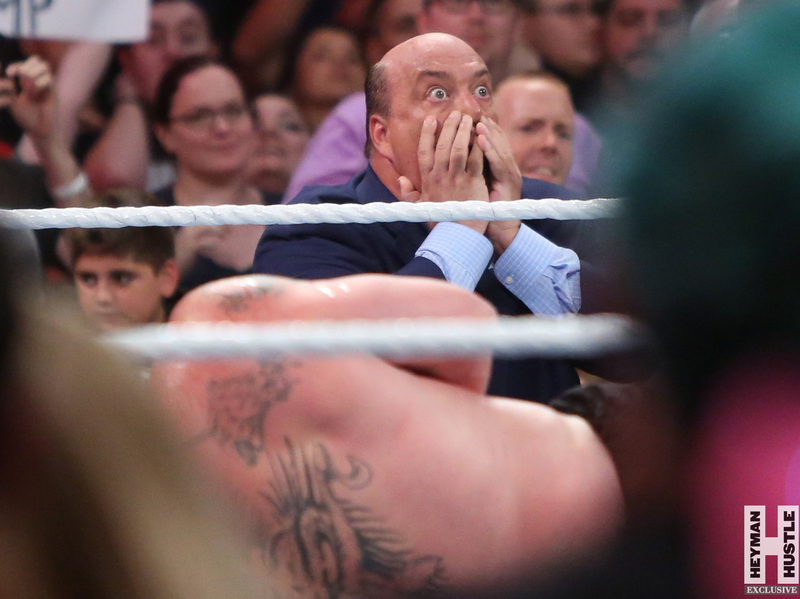 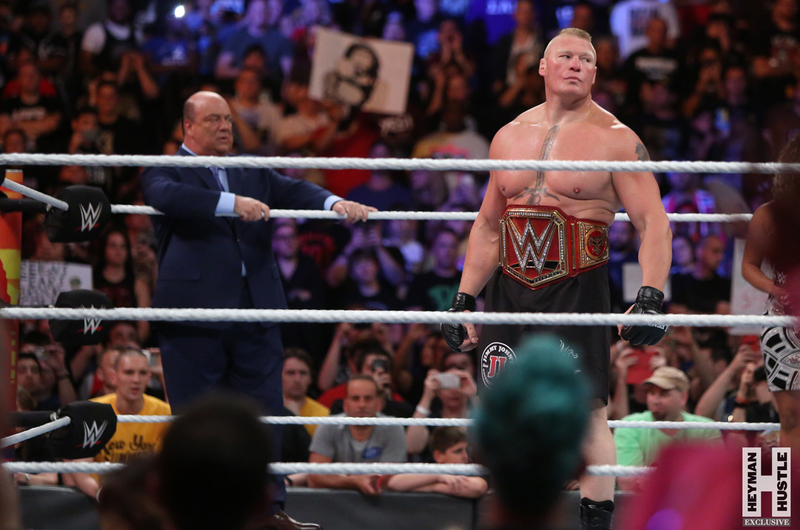 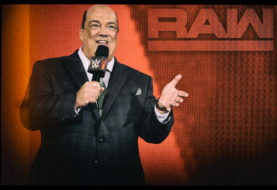 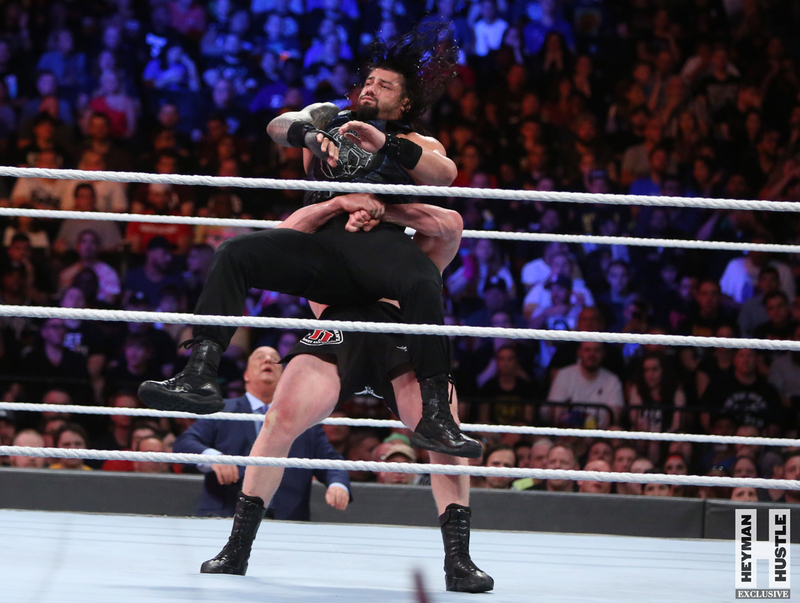 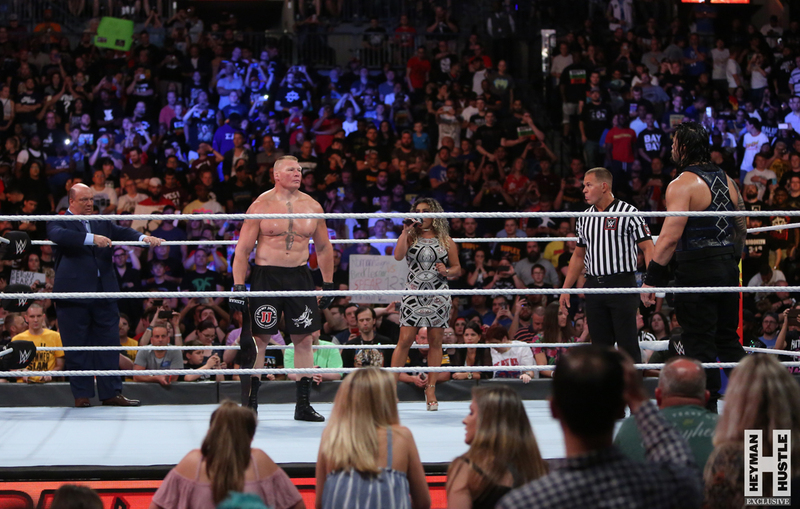 CLICK HERE FOR BROCK LESNAR AND PAUL HEYMAN’S SURPRISE ATTACK ON ROMAN REIGNS JUST SIX DAYS BEFORE SUMMERSLAM! 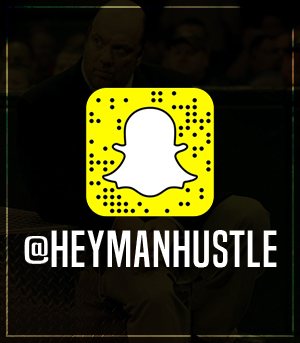 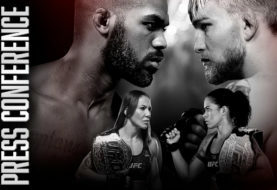 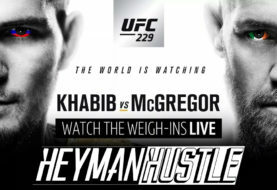 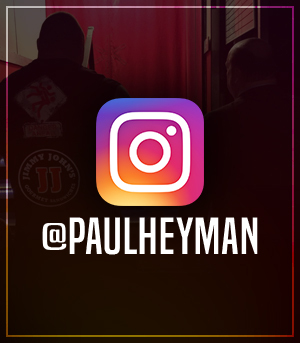 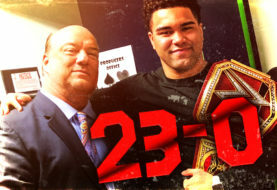 The Heyman Hustle‘s very own Bruno Silveira was on hand to provide EXCLUSIVE coverage of the historic match, and you’re more than welcome to join the conversation about SummerSlam with our HustleTweeters by following the Hustle on Twitter HERE or by hitting LIKE on our hyper-interactive Facebook page HERE!